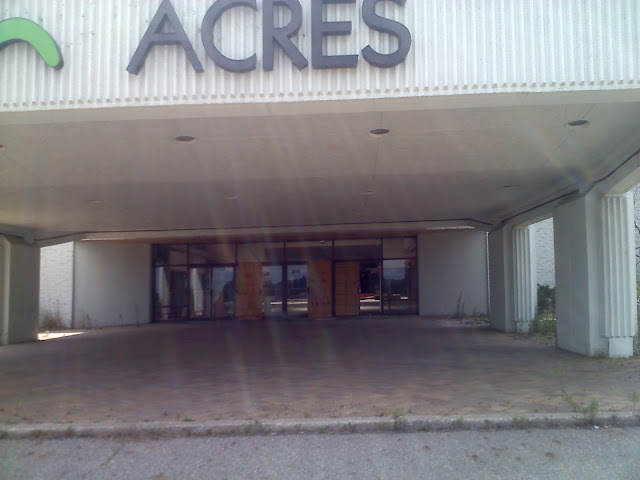 To kick off our second season of new posts we decided to post on the Rolling Acres Mall in Akron; one of Ohio's most infamous dead malls! 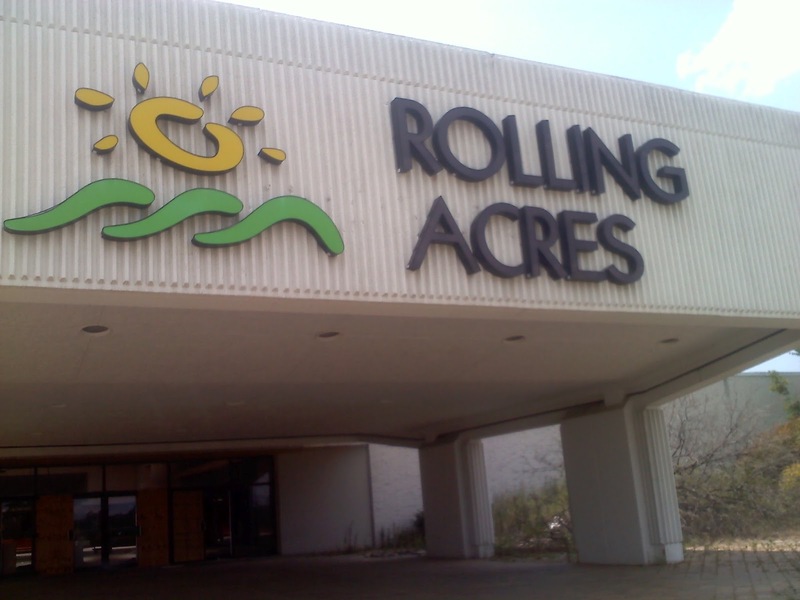 The Rolling Acres Mall in Akron, Ohio was officially opened to the public on August 6, 1975. 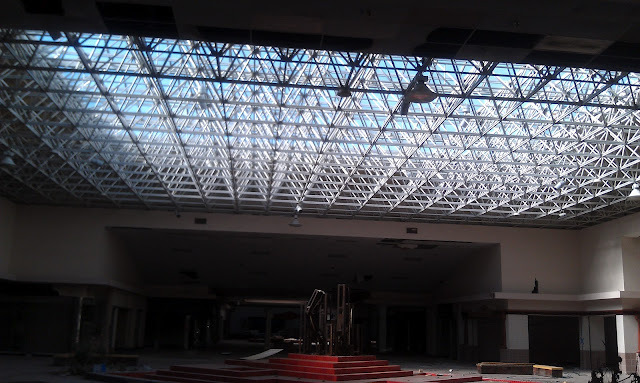 The mall was developed by Forest City Enterprises (who owned several area shopping centers and the Forest City Lumber chain). 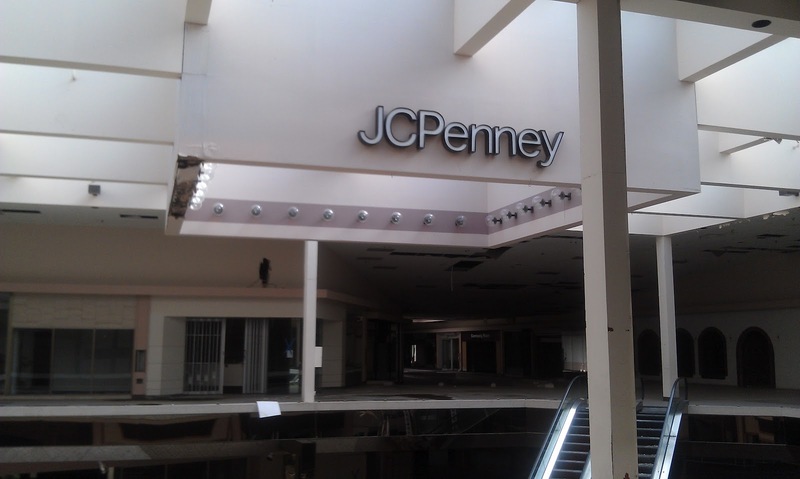 At the time of the mall's opening the main anchor was a 151,933 square foot Sears and a new 160,000 square foot JCPenney store was under construction. 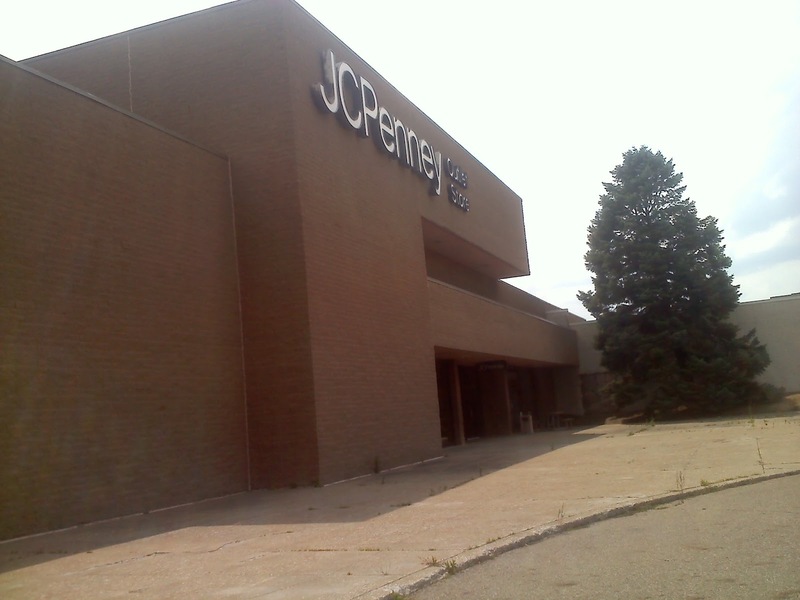 The original one story tall part of the mall from 1975 looks to have been built for just three anchor stores, but JCPenney built their two story tall store in a spot to enable a future addition of the mall to the south. By 1977 a third anchor had been built onto the mall. The third anchor was a 125,821 square foot Montgomery Ward store built onto the west side of the mall. In 1978 the two story expansion to the south became reality; this new addition included a food court, O'Neil's as a forth anchor store (89,404 square feet), another indoor crossroads, a General Cinema movie theater, and a site for a fifth anchor store to attach to the mall (planned to be two stories). The only major changes to the mall in the 1980s was the closure of Montgomery Ward in 1986 (which became Higbee's directly afterwards), and O'Neil's was re-branded as May Company as a result of the 1989 merger between the two chains. Also, in the late 1980s development started on the Montrose shopping district about five miles to the north along Interstate 77. 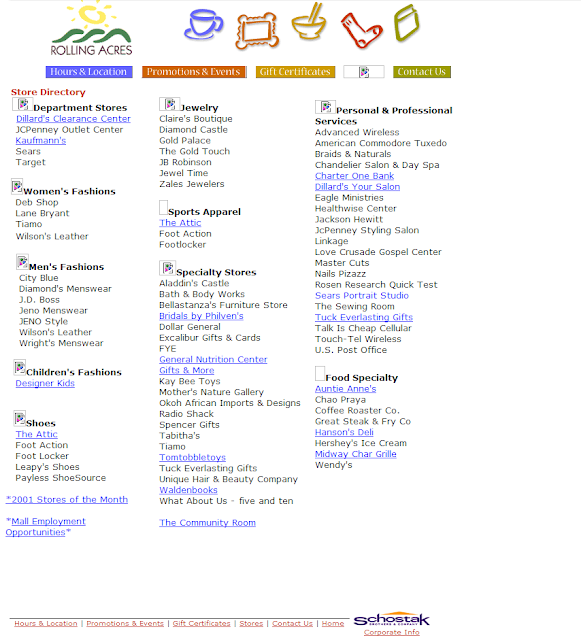 Into the early 1990s May Company and Higbee's were acquired by other chains and rebranded (Higbee's became Dillard's in 1992 and May Company became Kaufmann's in 1993). In the 1990s competition would continue to grow with the Montrose shopping district and other stores close to the mall like Kmart (relocated to a new supercenter store in Montrose and a traditional store in Barberton) and other nearby stores like Children's Palace (closed 1992) and later Handy Andy (closed fall 1995 and was formerly Forest City Lumber). Actually, only one major addition happened in the area in the 1990s. Remember that site for a future two story anchor I mentioned in the first paragraph? Target opened a new single story 98,000 square foot store there in 1995 (about 15 years after the mall first planned to build a two story anchor store on the site). In the late 1990s many stores inside the mall closed and anchor stores experienced a steep decline in customers. 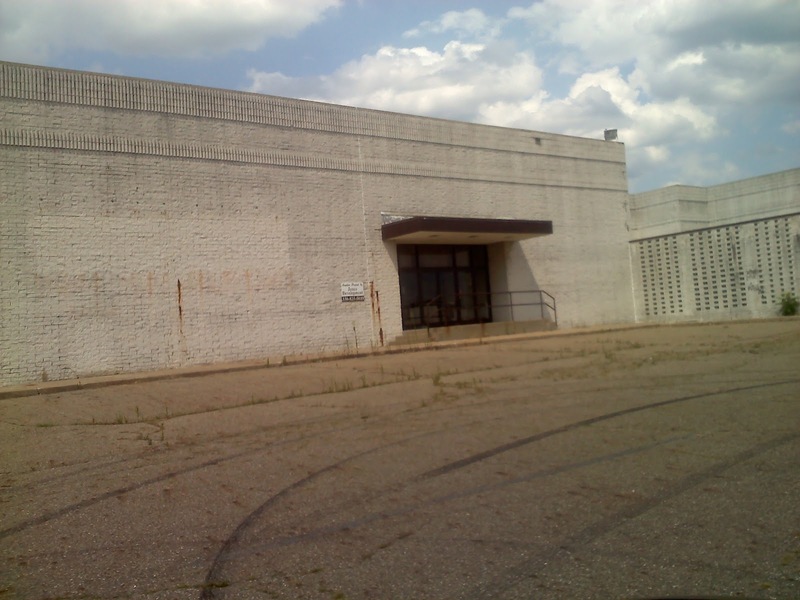 This decline caused two of the anchor stores to convert to outlet stores; Dillard's in 1997 and JCPenney in 1999. Forest City then sold the Rolling Acres mall to Banker's Trust in 2000 after years of decline. 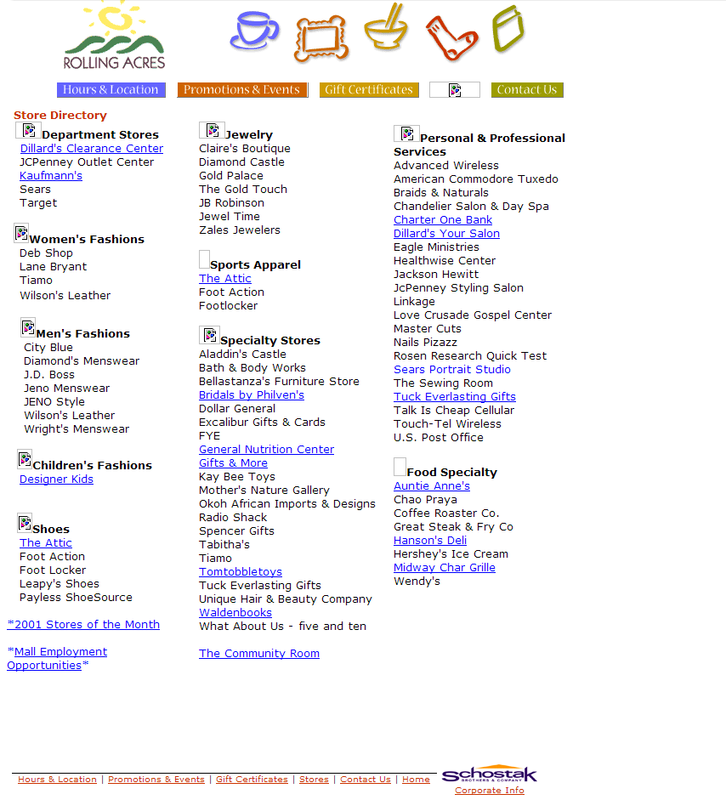 The Ames store (formerly Gold Circle then later Hills) was the most notable closure nearby in the early 2000s. Then the mall itself started to die. In early 2006 Target abandoned their store at the mall for a new store about five miles away in Wadsworth, Ohio. Later, in the summer of that year the Dillard's Clearance Center store closed due to its low profitability. Kaufmann's was re-branded as Macy's in the fall of 2006 as part of Macy's phase-out of the Kaufmann's banner. 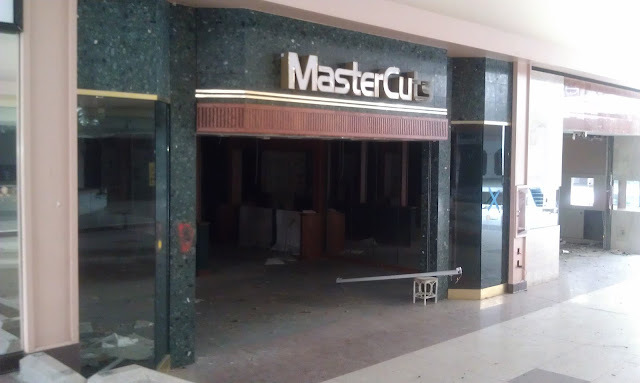 The Macy's only lasted about a year and a half until it too threw in the towel in early 2008. This left only Sears and JCPenney Outlet left as anchors. After Macy's shuttered it seemed all hope for the mall to remain open died. In the spring of 2008 many mall fixtures were auctioned off and the number of stores still open inside dwindled down to less than ten. 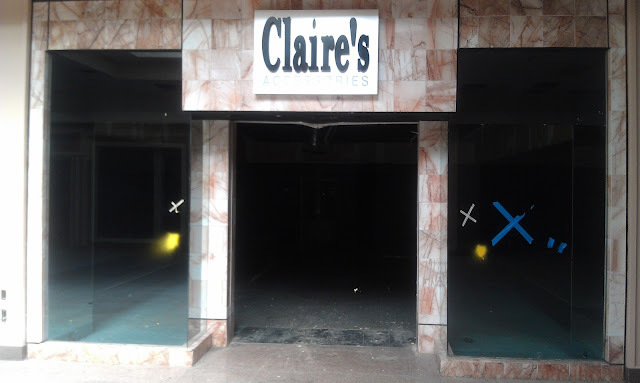 In October the inevitable shut-off of electricity caused the remaining stores inside to start reducing their inventory or find somewhere else to relocate. 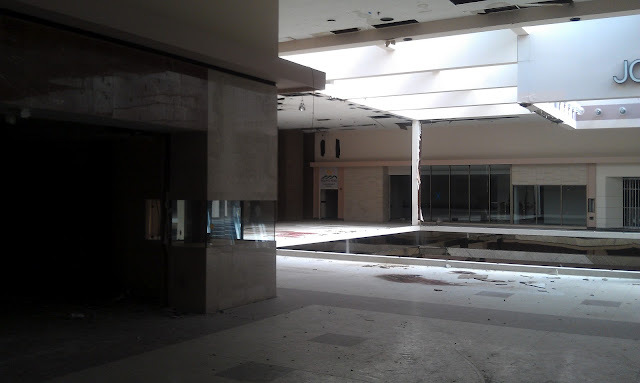 The mall remained open to the public until electricity was cut-off on October 31, 2008. 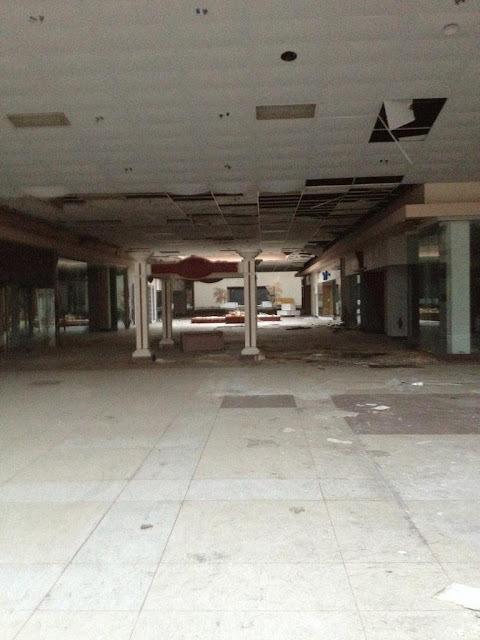 The few remaining stores inside packed up their inventory and fled the mall. 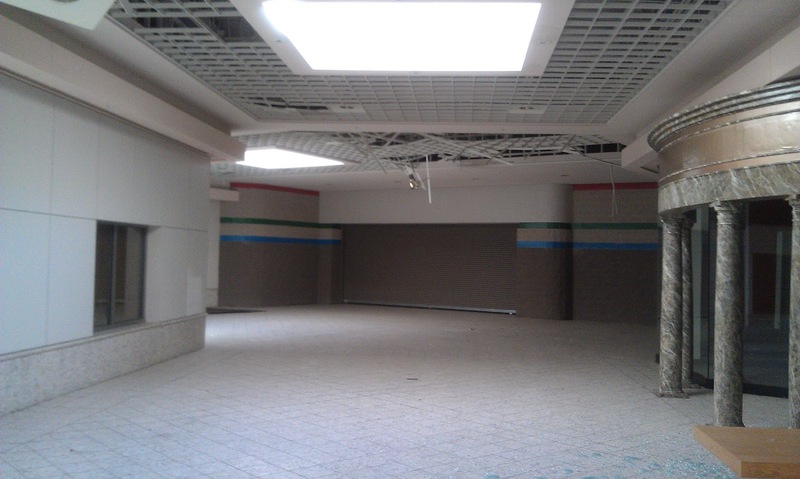 In 2010 the empty mall was sold to Invest Commercial LLC and Sears decided to close down their store at the mall. 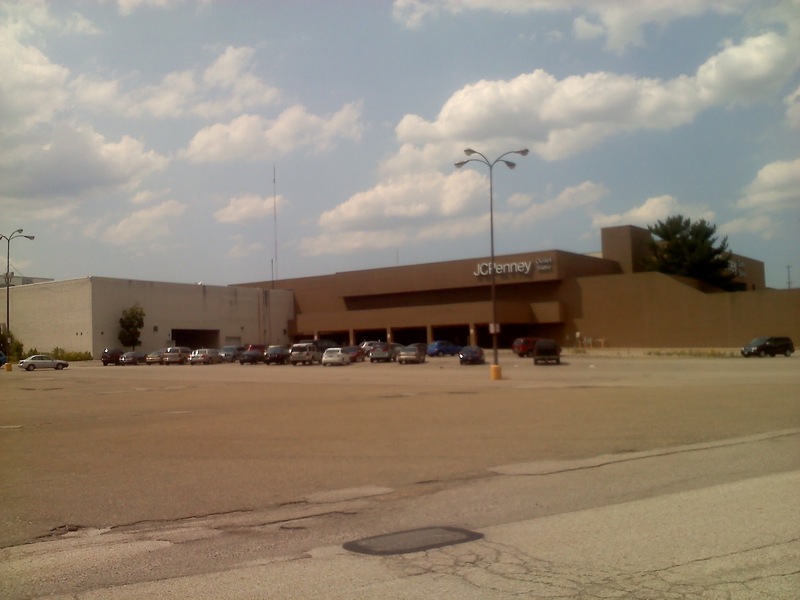 The Sears closure left JCPenney Outlet as the only retailer on the site. JCPenney decided to close all Outlet stores in early 2011, however the JCPenney Outlets were purchased by SB Capital Group in the fall of that year and some such as the one at Rolling Acres were rebranded as JC's Five Star Outlet. Now the entire JC's Five Star Outlet is closing. Today the Rolling Acres site sits pretty much abandoned with the exceptions of the former Target (which is now Storage of America) and the soon to be vacated JCPenney Outlet. 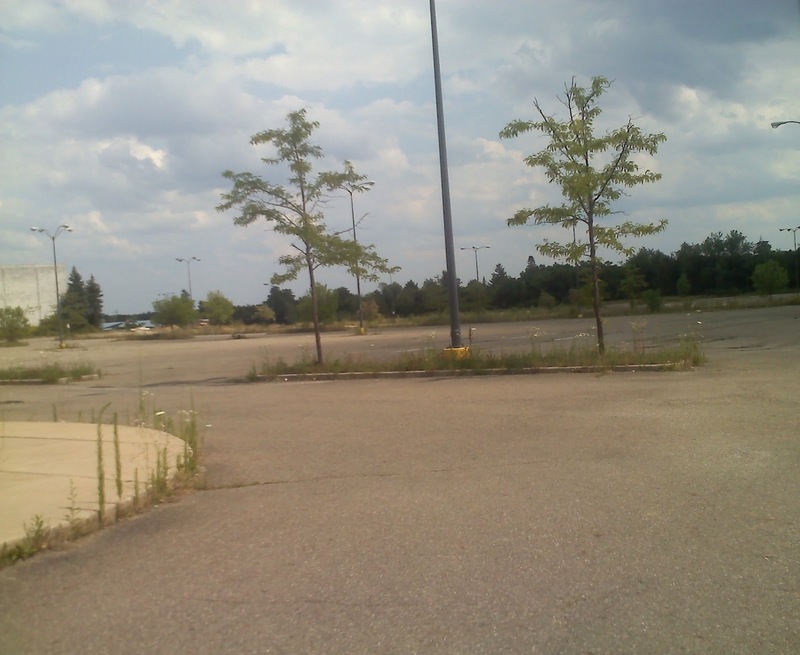 The exterior of the mall looks mostly intact except for the fact that weeds are starting to take over the parking lot. 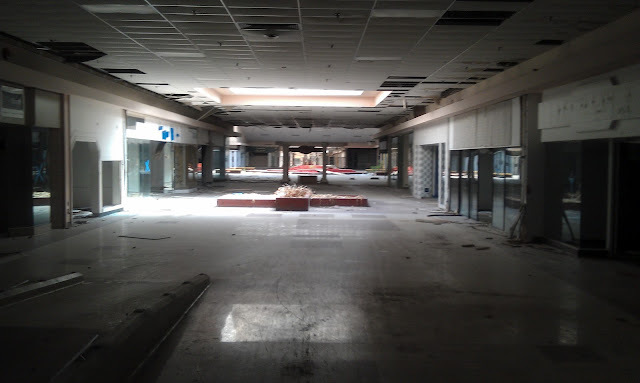 Inside the mall there are deserted hallways and stores with the debris of old ceiling tiles lying on the floor and plants that live off the water that leaks in through the roof. Luckily, we have some interior photos of the Rolling Acres mall later on in this post! The main mall entrance. Note; the far right door is kicked in. 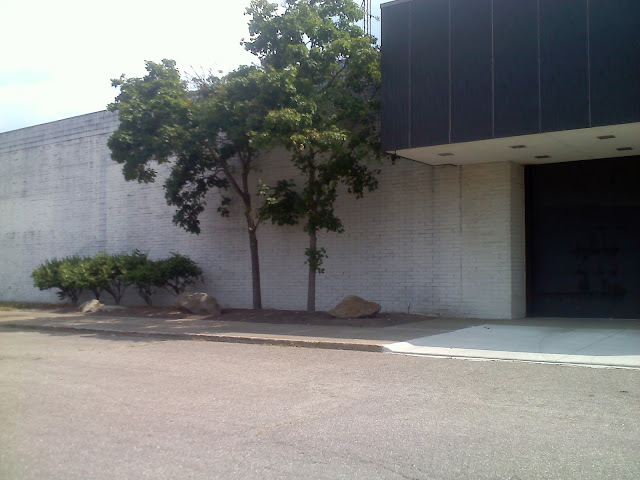 The entrance to the former target store. 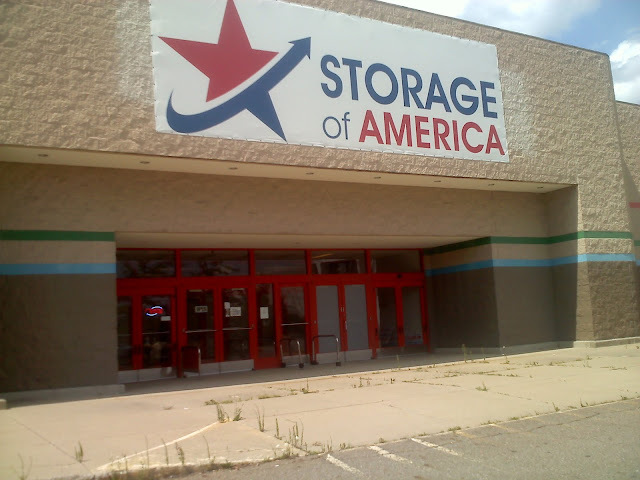 Storage of America was one of only two places still in operation as of 2012 (the other is JCPenney Outlet). Nature is now taking over. This was at one point a fountain! looking towards the former Montgomery Ward / Higbee's / Dillard's entrance. Do you see the former Dillard's Label-scar? One of the surviving JCPenney signs. 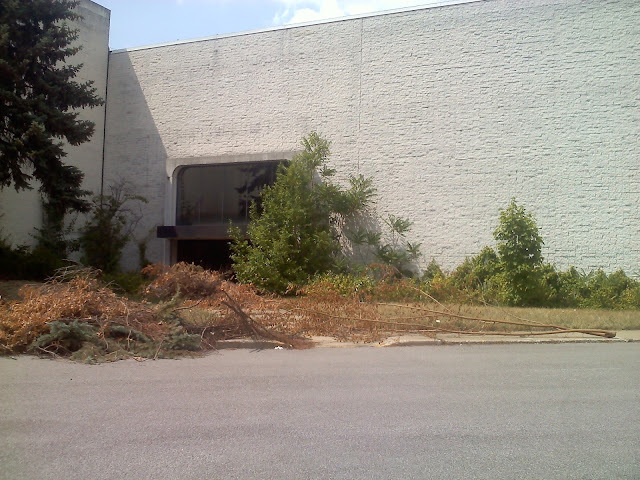 The entrance into the JCPenney Outlet Store (still open as of 2012). Beware the drop to the first floor! 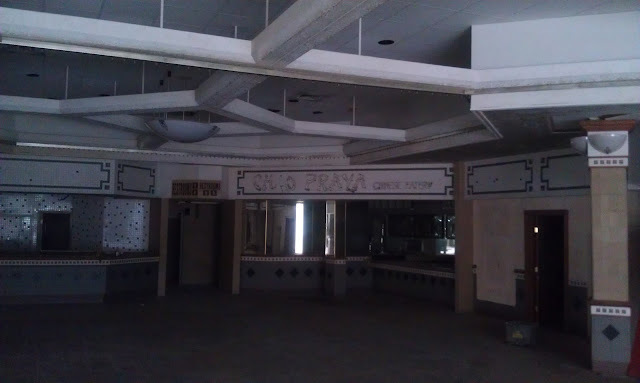 More of the food court and the entrance to restrooms. The former entrance to Target. The Target is now Storage of America. I believe the store to the right was Bellastanza's Furniture. 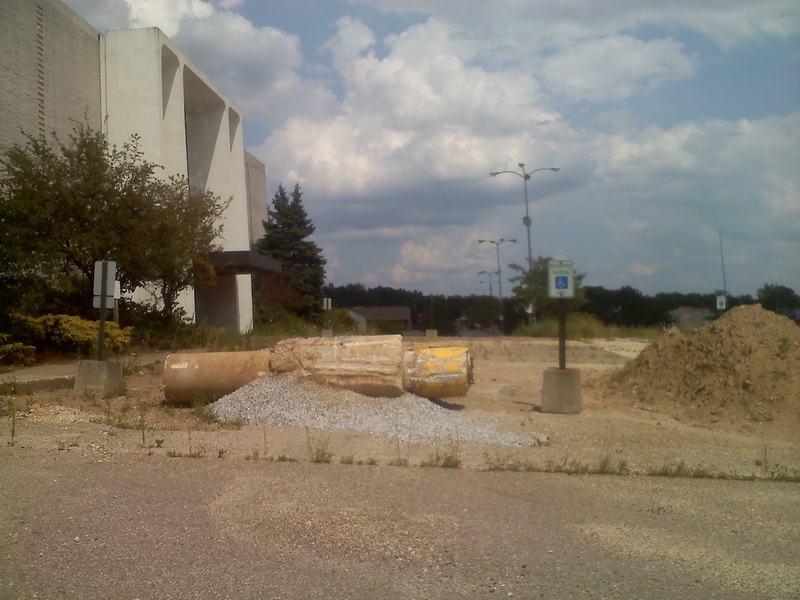 The entrance to the former Target. 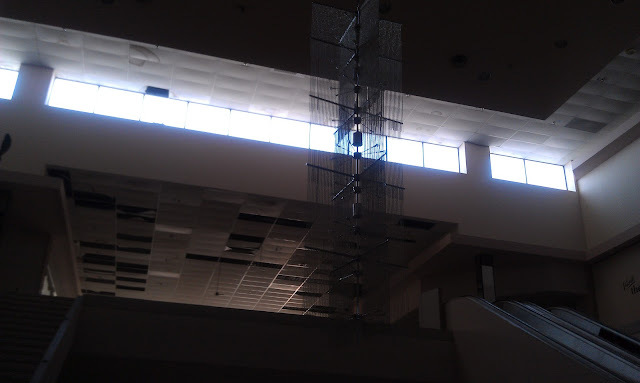 One of the chandeliers left behind. They even left the plants behind. People inside JCPenney Outlet can still get a peak into the mall. 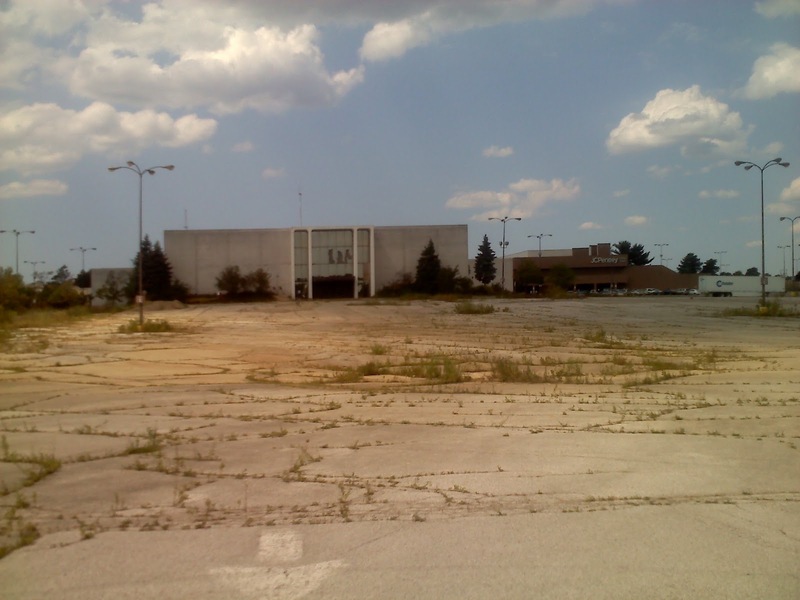 Great post, this is one of the most famous deadmalls that will probably rot away for years. Many mall owners these days seem to be trying harder to keep malls from closing even though many of the properties are barely hanging on. 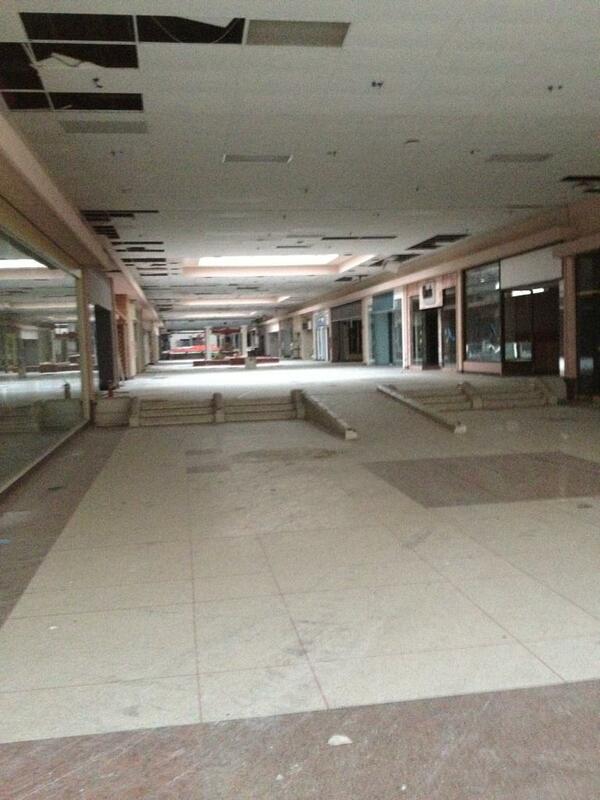 I wonder why the outlet store is still open, since the mall is closed. 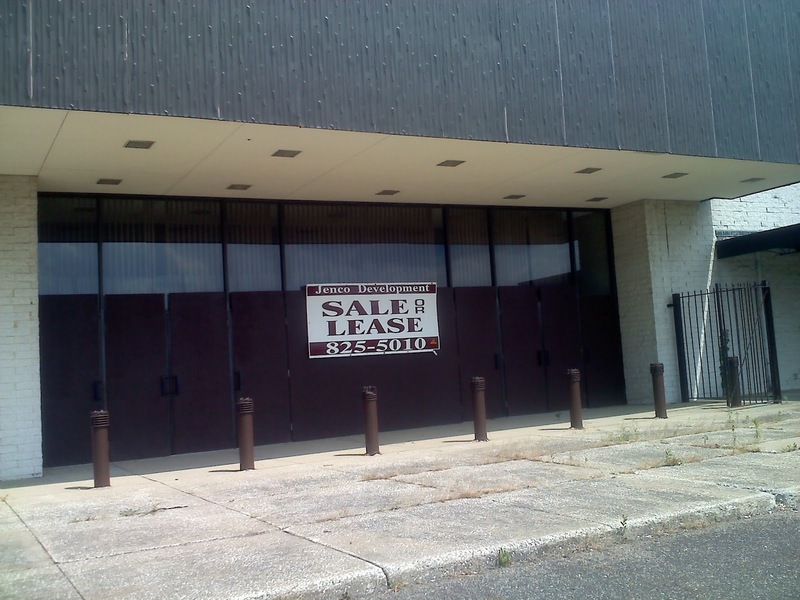 Owner is still Collecting rent/lease. Store will probably close when the lease expires. It's not. The post above is just being racist. I live in the Akron area, and it really comes down to the fact that a lot of the businesses in the area dried up well before the mall. It has nothing to do with crime, and everything to do with increased competition from Wadsworth, Fairlawn, and other sections of Akron. Rolling Acres is in a crappy location, and people left. I remember going here as a kid. Gonna need to see if I can check it out now, it's been so long. Wow...I had to check the date on these posts and make sure they were still from 2013...more like 1963..."black crime"? Really? Y'all need to get out of your little white bubble...YOU are the reason places like this fail...too afraid to even go out your front door! I apologize; Those comments must have slipped my moderation. Most likely it was the same person who kept returning and leaving those racist remarks. I have removed the comments that were bad. just have to ignore racists comments. 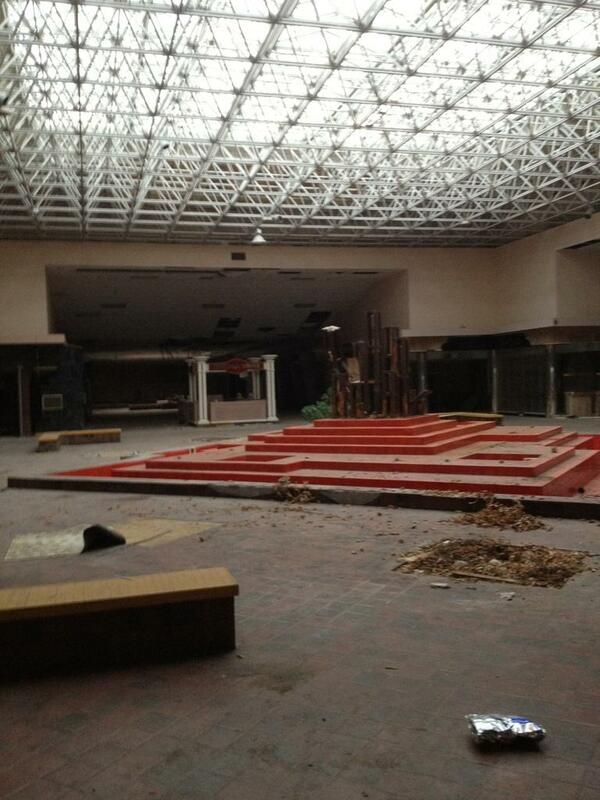 i liked rolling acres mall. i worked there and like the movies. 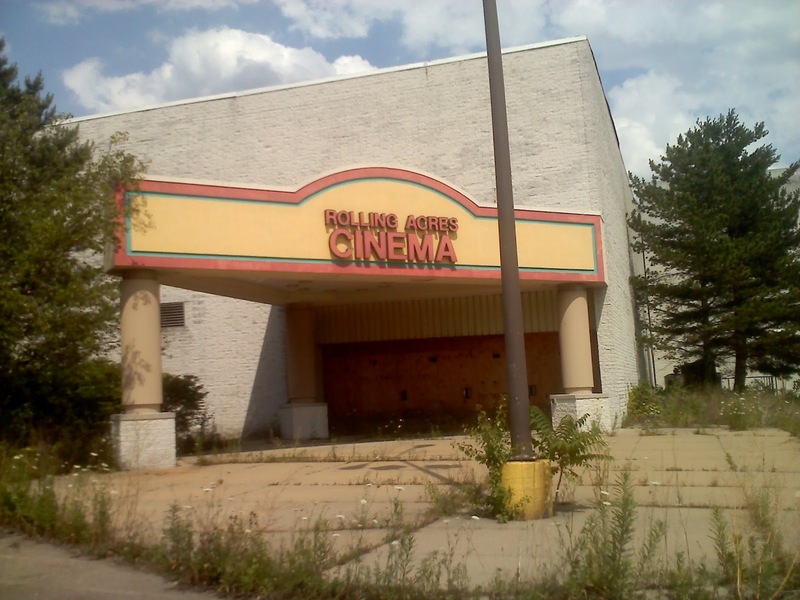 but, do to the times, like the internet, competition from other cities, and stores, and nearly half the malls from thirty years ago, no longer here. its sad. part of americana history. going to the mall in my times we got dressed up and spend the day there. today, a kid is lucky to go into a store if he/she doesn't see a sign no students or only two at a time. All racist comments aside, apparently you don't remember people being mugged in the mall,people getting into fights in the movie theater and other problems that they continually had throughout.And if there weren't problems with thugs and such, then why did they move a branch of the "Akron Police Dept" into the mall? Not Security,but a branch of the Police Dept.Yes, competition was part of the problem, but so was the crime.It wasn't about race,it was about thugs in general that took over the mall. I have to agree, as a teen (back in the 70's) my parents would never allow us to shop there because of the parking lot muggings. We shopped at Summit mall in Fairlawn. I moved from Ohio in 1981, so I cannot say what the atmosphere in the mall was from 81 till the present. It's a shame though. The mall itself was nice, just in a bad crime area from what I can remember. 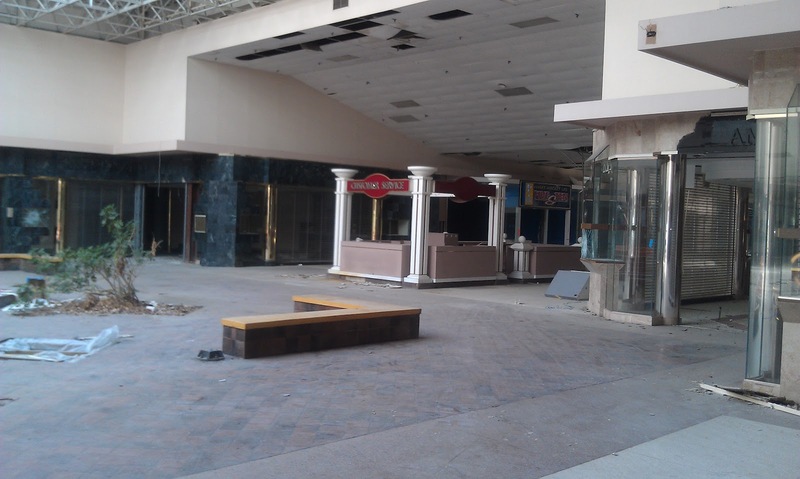 Wow that is truly a dead mall. Cool how you got to walk inside. I am sure it smelled like mold. Grew up in this mall, the whole Romig Road area fell victim. It used to be a place for everything, now its hardly worth driving through. They even took out 2 of the traffic lights because there is no reason to stop. Real problems started when Akron PD pulled their office out of the mall and turned it over to "mall security"
Yep... and then what happened? Are we going to just call it misc. criminals that ruined the mall at that point or are we going to tell the truth of what happened? "In a cost-cutting measure, Rolling Acres stopped using off-duty police officers and instead relied on cheaper security guards, starting in 1991. During a showing of "New Jack City", two movie patrons got into a fight outside of the cinema. People in the area believed to hear gunshot, and a panicked crowd ran through the mall." 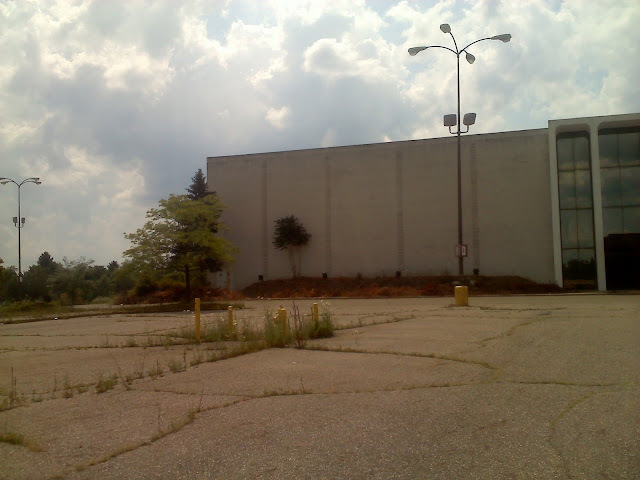 Once upon a time, Rolling Acres Mall and the surrounding plazas were a good place to shop. However, to say that crime had nothing to do with the downfall of the area is incredibly inaccurate. Crime did play a huge part in the death of Rolling Acres. I lived in the area, I shopped there, did my banking there, we got our haircuts and eyeglasses there, did back-to-school shopping there, I even worked there a couple of times. I was treated to witnessing fights, assaults, shoplifting, vandalism, parking lot robberies... and that's just what I saw. There were also less savory moments in the mall's history, for example: https://en.wikipedia.org/wiki/Richard_Cooey . With the regular trouble going on, shoppers went to greener pastures to shop in a safer environment. Women and teenage girls were regularly advised by friends and family NOT to shop there, as there were safety concerns. 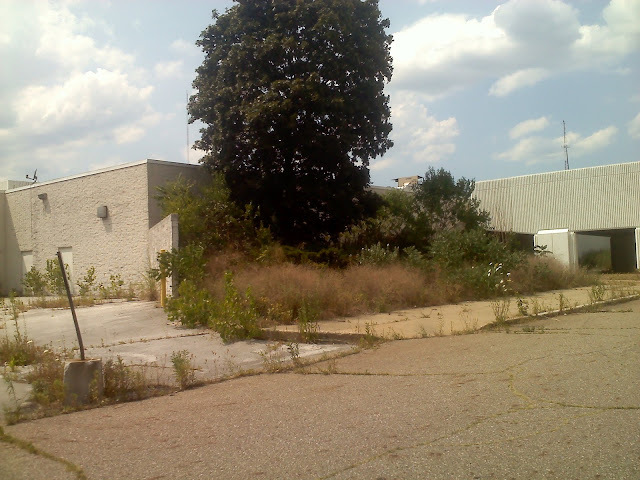 All of these things preceded the Akron Police Department having an office there. The things going on were getting beyond the scope of the mall security. 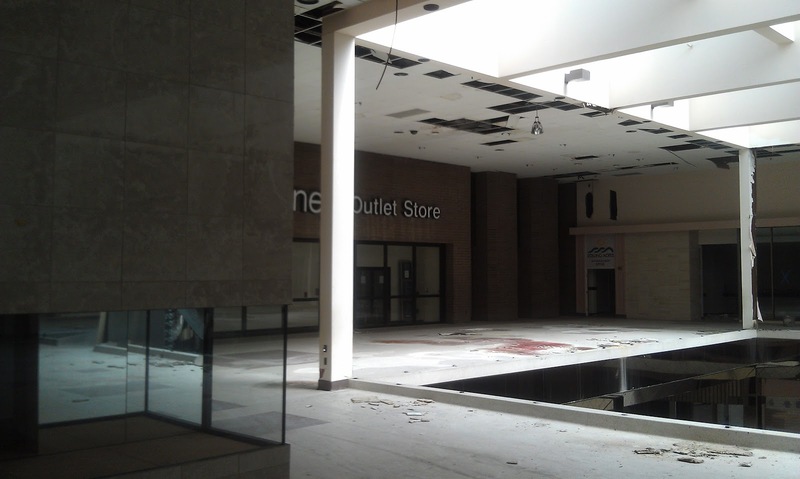 Bit by bit, the shoppers vanished from not only the mall, but the surrounding shopping centers. Little by little, stores, banks, restaurants and the like pulled up stakes. It's a shame, but that's life. Why keep a store open when your costs are skyrocketing due to theft? Why shop at a place that makes you feel as though you need mace just to get through the food court? 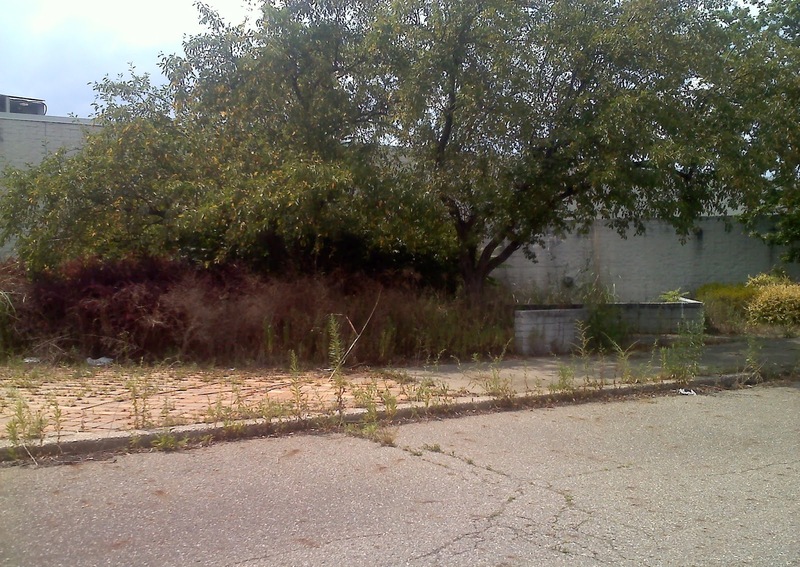 Did development in Montrose and Wadsworth hurt Rolling Acres? Maybe, or just maybe it was the declining safety and security at Rolling Acres which proved to be a bonus to outlying shopping districts. In the end, the criminals won, but all they won was abandonment and decay. It is sad to see an old friend die. I grew up in that mall, bought my first transformer at Kay Bee Toys as well as many G.I.Joes. My first movie was there. I had my first date and my first job there too. I hate to see what has happened to the place of so many memories, this is totally heartbreaking. If I wa a millionaire, I would purchase the mall and revive it as a mixed purpose establishment. That wouls help the entire area bounce back. Oh well, it is a dream. R.I.P. my old friend. 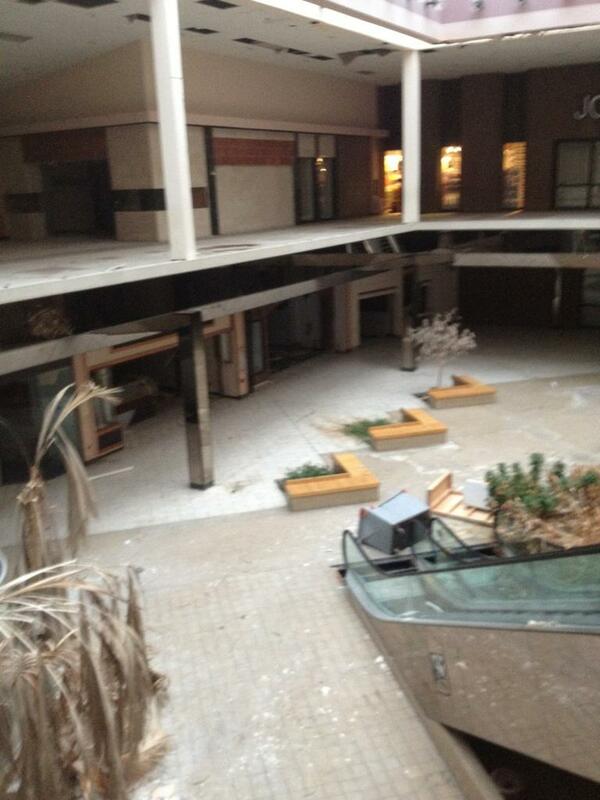 I also grew up in the area and was heart broken to see the mall in this condition. Lots of memories. I moved away do to work 15 years ago. Just returned and have a home on west state street just down the road. I do have a vision and idea for the main mall itself. That is all that is currently available. From what i have seen, nothing that $ and determination could not fix/revive. If anyone is seriously interested in information on what is privately, quietly being proposed and would like to get involved please contact me via email at skynetbroadband.peters@gmail.com with contact info and I will get up with you asap! for this to work there must be public support! I am a former computer/data/internet Entrepreneur that sold my business in North Carolina to be closer to my family. Funny how as you grow older you never thought you would return to the place that you fought so hard to get away from. Every so often I take a loop around that place on my dual sport bike. I can only imagine how many people that were kids as I was when the mall was in its heyday of the 70s and early 80s felt the indelible impression that place left. To this day, as I crest the hill on Romig road, I get a little tinge of that excitement I had when I was a kid. I can remember distinctly the sound those steel handrails made on the upper floor running along them slapping them with my hand, amazed that there we TWO floors in this mall. The KayBee toy store where one could go fantasize about HO scale train accessories and exotic toys that you had no hope of affording as a kid, and let us not forget, perhaps the most magical place : Aladin's Castle. The arcade craze was in full tilt through the last half of the 70s and into the early 80s ... and this was the best arcade around bar none. I also recall a small magazine store on the lower level where I could sneak a read in of the latest computer magazines: Compute, Analog and Antic. I sure miss that mall, it would be nice to just be able to walk through it, but time and tides takes everything. RIP Rolling Acres. This is a real tear jerker! I worked for O'neil's from 1981 to 1985. This was one of the best stores..very classy. Hard to believe how the mighty have fallen. When I went to UA in 1978, this was the new mall. My son started school there in 2011, and I went down Romig Road to find him a window fan. I was shocked to see it all abandoned. Like most malls, people always complained about the unsupervised teenagers. Went there yesterday to take outside pictures. Couches,trash even a entertainment stand litter the back parking lot. There is a spot where there is a large hole filled with water with a chair sitting in the middle,lol. Even though we haven't gotten rain for at least a week it was a lot of water! I went home and did a search. Did any of you know there is a tunnel from Kenmore to the malls fountain? Check it out on google,rolling acre mall tunnel. I was there around the time it opened. I'm pretty certain that the O'Neil's wing was planned to be two stories, and the food court was planned for where it was. This is so sad! I grew up going to that mall, my family and friends shopping in that area. The memories were really good ones!!! To blame the closing of the mall or businesses in the Rolling Acres section of town(West side) is just ignorant and racist. A lot of people just took their business and money to the surrounding areas like Wadsworth, Fairlawn, Green and Medina. 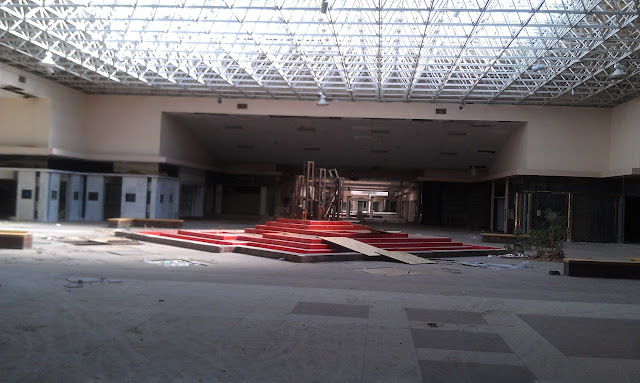 No matter what anyone says, that mall was a staple for a long time and a lot of people have very good experiences and memories from that time. Just wish my kids could've experienced it like I did!!! Do you know if you are still able to go inside? Or is it totally off limits now? I saw in another recent video from February 2014, that the main entrance doors are all boarded up with a bank of dirt in front of them. Seems to be the case for all of the entrances into the mall common areas, but not the anchor stores. There must still be a way to get inside. I would love to see what the inside looks like since the above pictures had been taken. It doesn't take long for things to fall into a state of disrepair. 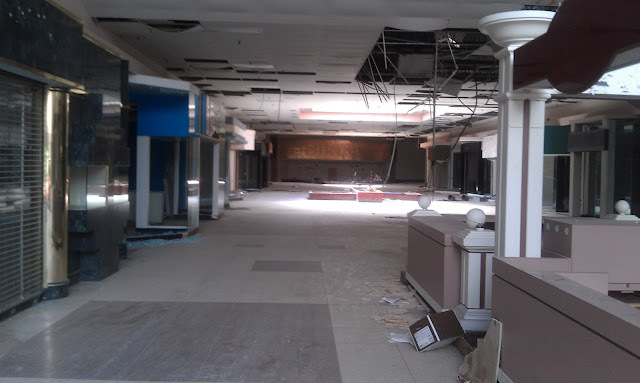 We had a mall similar to this (Lakewood Mall) in Lakewood, WA. 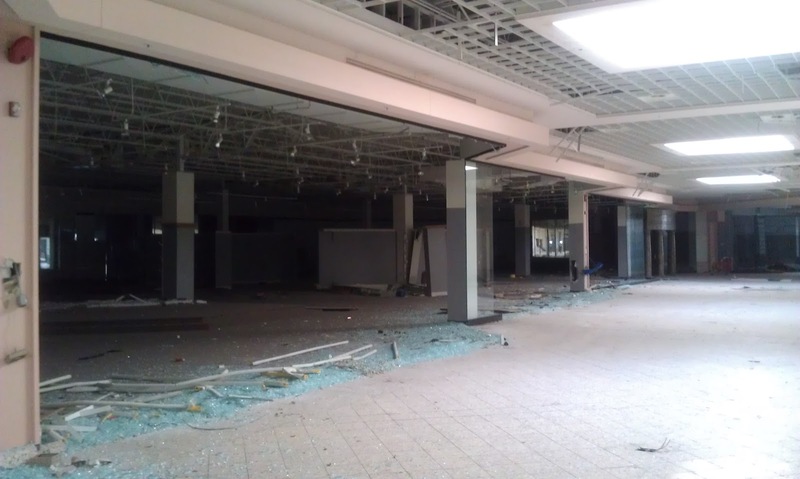 They ended up tearing down the common areas & leaving the anchor stores. It has now been revitalized into a mixed use center. The original mall was beautiful, but too far from the freeway to compete with all of the other large malls. Hopefully, a developer might have the same idea for Rolling Acres Mall & redevelop it, as well. Seems so wasteful to let everything just go like that. Good luck, Akron! 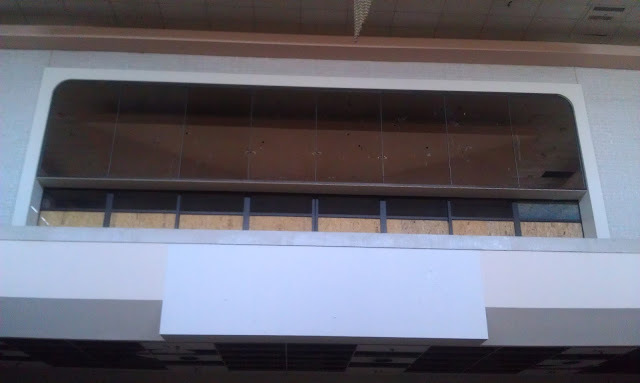 Hey, Anonymous- What does it look like inside now? Broken skylights? That will cause it to deteriorate even faster. Too bad. I was hoping that someone would revitalize it. It seems that it may still be salvageable, although it would need to be gutted. Any chance that you can post some pictures or video of the inside? Hi there Anonymous. Can I have more information on the entrances by any chance? Where was the Wendy's restaurant inside the Rolling Acres Mall? 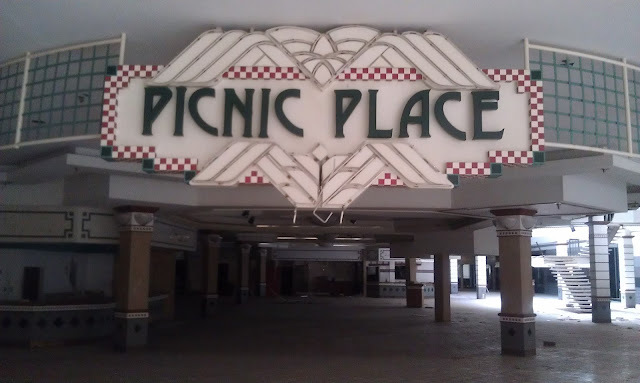 I know it's closed now but where was it in the food court when the mall was open? 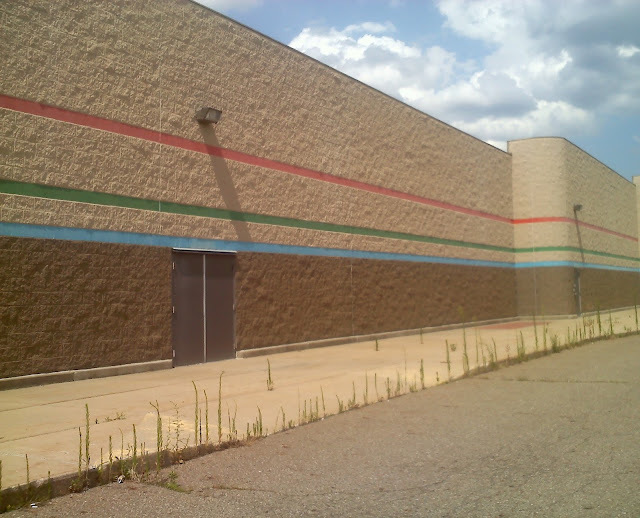 The coloring of the former Target looks strange to me, although it's probably just the paint colors that Target used at their older stores. Do they Have a number to call to get permission from them to let you in if you wanted to film something there or take photos? So, why is it that I and my mother, both white women, were able to go to this mall and the Penney's outlet all the way up until the end, even sometimes at night, and were never once harassed there, and never felt we were in danger? Aside from the cinema incident, (which I know we were not present for, and so can't say how scary it was, but it was just that- an incident) this mall was safe to shop at. It wasn't black crime- not exclusively, anyway. At least as much blame goes to the type of paranoid white people who see "the criminal element" in every black person they encounter. Probably the only way a black person can look innocent to some of these folks is to be walking in or out of a church service on Sunday morning- and even then they probably have to be dressed just right- except not dressed TOO well, or you know what they'll say about that. How do I know so many white people are really like this? Even ones who outwardly would shout "I'm not racist!" from the rooftops? Because I'm white, and I dress modestly, so they think I'm not only white, but conservative too. The covert racists who try to act nice in front of black people but talk trash behind their backs reveal all to fellow whites they think are like them. Mind you I'm no way saying all white people are like this, so don't try to come back with something I didn't type here. Repeat again, no, not all white people. Obviously. But enough of them to cause trouble. And I'm also not saying all black people are innocent. I know some would look at me with hatred because they see my skin color and assume I'd hate them back. Some of those are not even criminals, but church-goers who should know Jesus wouldn't approve of hatred going either way. But those church goers, even if they are not following Jesus' teachings in this way, are generally not shoplifting or gang banging! And y'know what? I do know white people who shoplift. I know white people who get drunk and disorderly. I know white people who cause a lot of trouble. Good and bad are in every color. 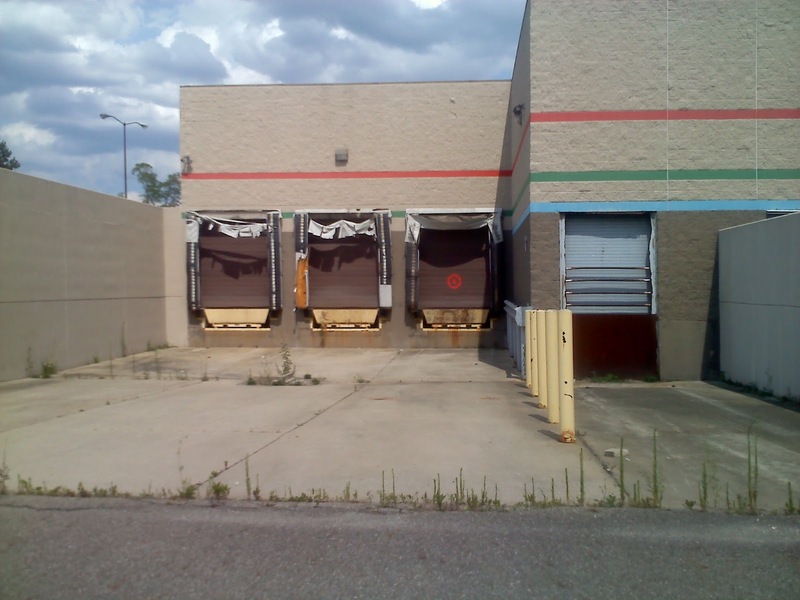 According to Wikipedia, the former Sears building is now home to Pinnacle Paper Recycling, which Pinnacle purchased the building back in June 2012. That would probably explain why there are still cars and trucks parked in the back of the building. 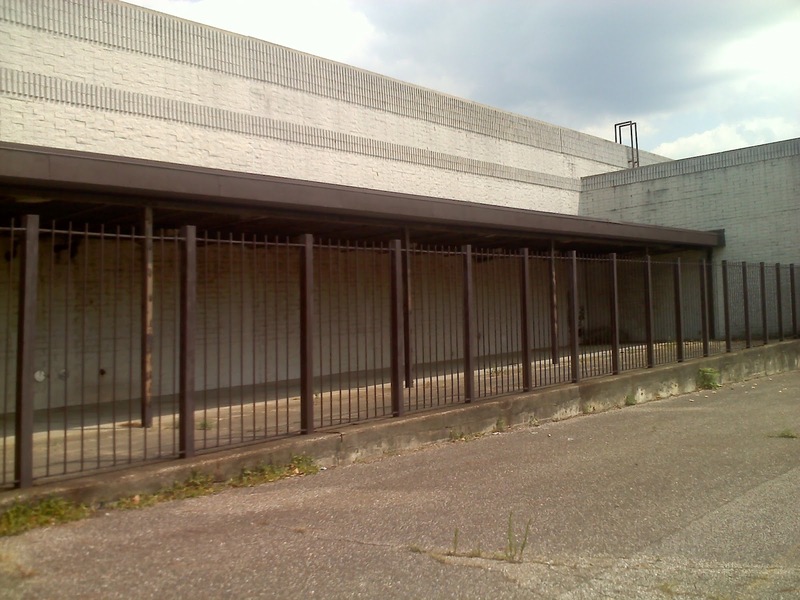 The former Dillard's has now become Old Main Storage, a private storage company. 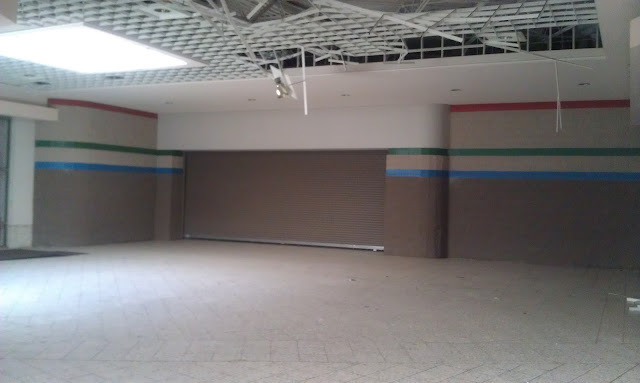 It's really sad to see what this mall has become. The parking lot as well. It is filled with potholes and grass and weeds are growing out of the cracks. Trash, tires, and furniture are litered across the parking lot. There was suppose to be a public auction for the mall that would've happened in 2014. However, it kept being pushed back and in the summer of 2016, the sale failed and the mall was foreclosed by Summit County Ohio on June 26, 2016. This transferred ownership to City of Akron who, the council said they would seek to work with a developer and that the buildings would most likely end up being demolished. I'm not sure if that includes all of the mall, or just the large portion of it that has no business in it. The former Target, Dillard's, and Sears have all been converted to other uses.